Display set of 24 contains 4 of each color: Silver, Gold, Rose, Copper, Bronze, and White. 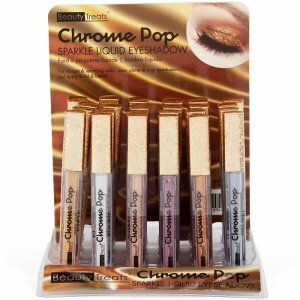 Sparkling metallic liquid eye shadow that glides on smooth and dries for long lasting vibrant color. This shadow can be worn alone or over another eye shadow.